That being said . . . Do you tend to make a significant, long-lasting impression on those around you? Do you normally have a flurry of people around you? And, do those same people follow you around as you move from place to place? 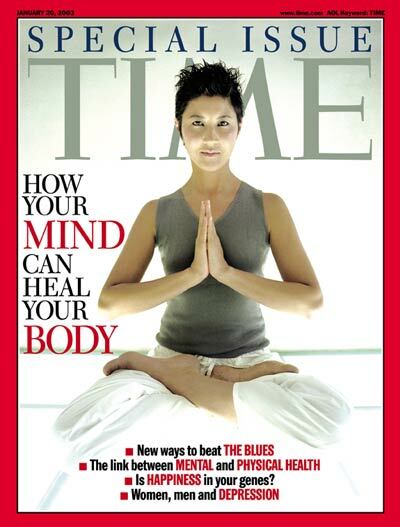 Moreover, do you shine when you are the center of attention? Lastly, do you love to laugh, entertain, and socialize? If the answer to one or more of these questions is “YES” then you probably have a “tycoon” personality. So, what exactly is a “tycoon” personality? Well, according to the Myers-Briggs Personality Indicator, it an ESTP personality type. Ok, so what is an ESTP personality type? Well, it is someone, who has a way of making a BIG impact on those around them. So, if you have this personality type, you are probably popular – really popular. In fact, you probably have people around you all of the time, following you around and listening to everything you say. Am I right? And, I bet there isn’t a dry eye in the crowd, when you are around – not from crying, but from laughing hysterically. You love-love-love to entertain and socialize and it shows. Yes, you are blunt, but you are also a lot of fun, and you love to be the center of attention. Let’s just say you aren’t afraid to karaoke when out with friends. What do others like best about you? Well, it’s that you always have something interesting to share with others, and you keep things lively. Moreover, you are not just highly intelligent, you are also proactive. You like to walk the walk, if you know what I mean. A weakness – you tend to jump before you look, opting to fix your mistakes as you go, rather than sitting by and allowing things to happen to you. And, you are always prepared for “what if” scenarios. Another weakness is that if you aren’t careful (with your bluntness), you may take things too far, offending more sensitive people. And, you have the highest risk of living a “precarious lifestyle. You tend to be impulsive and live in the moment, which in some cases can be quite dangerous. You are known to “break rules,” it they do not adhere with your moral and ethical beliefs. A strength – You are full of passion and exuberance. You are colorful and lively, which draws people to you. What does the abbreviation ESTP mean? How common is this personality type? Approximately 4% of the general population has this personality type. Do people with ESTP personalities do well at work? Yes, ESTPs tend to do fairly well in the work environment. Why? Well, because they love challenges. And, they also love telling others how they conquered those challenges. ESTP workers tend to animated, unpredictable, fun-loving individuals, who can come across as “crass” to their co-workers and bosses. 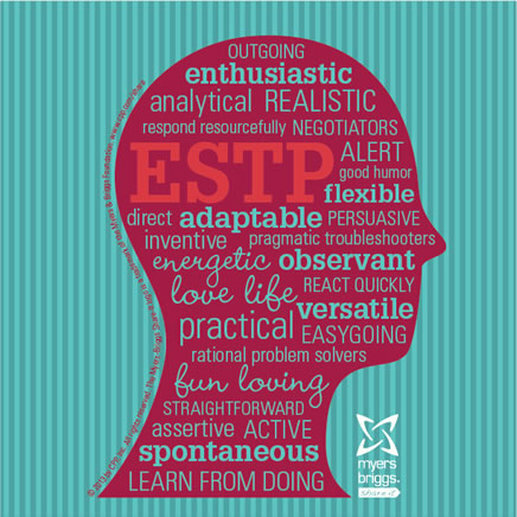 ESTPs also tend to be adaptable and flexible, which bodes well in the workplace. They have an uncanny ability to make any situation interesting. A weakness – ESTPs do not like rules, restrictions, and limitations. They are free-natured, which means they march to the beat of their own drums. These individuals are known for spontaneity, improvisation, problem-solving, and quick thinking. They hate-hate-hate having to check in with their supervisors. When they feel “boxed in” they become frustrated. They are charming and fun, so they are able to get along with almost anyone. And, they are good workers, just as long as everyone is pulling their weight. If a co-worker is being lazy, ESTPs will let them know that in no uncertain terms. They are not especially emotional, and definitely not overly sensitive. Do people with ESTP personalities have good relationships? When it comes to romantic relationships, ESTPs aren’t the type to sit around and dream of their wedding days. No, they are about spontaneity, fun, and excitement. They like surprises, especially delivering them to others, and they live in the present – not in the past and definitely not in the future. In other words, they don’t spend a lot of time thinking about what may happen one day, but their energy and unpredictability make them attractive to others. In addition, a relationship with an ESTP is anything but dull. Why? Well, because ESTPs are live-on-the-edge-of-your-seat type of people. They also always have a list of fun activities and hobbies to partake in. Moreover, they are good at bringing their partners out of their shells. When it comes to friendships, ESTPs tend to be the life of the party. Why? Well, because they have an insatiable imagination and an exhilarating sense of spontaneity – aka they are NEVER uninteresting. These individuals love-love-love to explore theories and ideas, which means an exciting activity, is never far behind. What makes this personality type such a good friend? Well, it’s that they are open-minded, charming, and laid-back. So, with these personality traits how can they not be super popular? As parents, ESTPs tend to be considered “perfect parents” if there is such a thing. However, they are typically playful, adaptable, empathetic, flexible, and easy-going. These parents truly enjoy spending time with their children – watching them grow and mature into competent adults. And, with these parents, their children and their friends, of course, always have a good time. Moreover, they encourage their children’s curiosity and sense of wonder. And, what’s best about these parents? They are always hands-on with their children, so they never lack people to “play” with. And, they view their children, not as insignificant children, but as equal contributors to the family. A weakness – They are not emotional people, so they have to work at emotionally bonding with their children. What types of jobs are best suited for those with ESTP personalities? ESTPs prefer jobs that utilize their skills and traits, such as their spontaneity, ability to think on their feet, and creativity. They like jobs where there is some type of ACTION. They do not like jobs that are routine or repetitive. ESTPs are social beings, so they like to be around other people – networking and socializing. They also like to solve problems, and conquer challenges. ESTPs excel at jobs like sales, marketing, business negotiations, acting, singing, freelance jobs, writing, entrepreneurship, paramedics, officers, EMTs, coaches, and/or athletes. ESTPs thrive on excitement. Do any famous people have an ESTP personality?